It may be safe to eat salad again, but tasty meatballs and juicy burgers are in for some side eye. 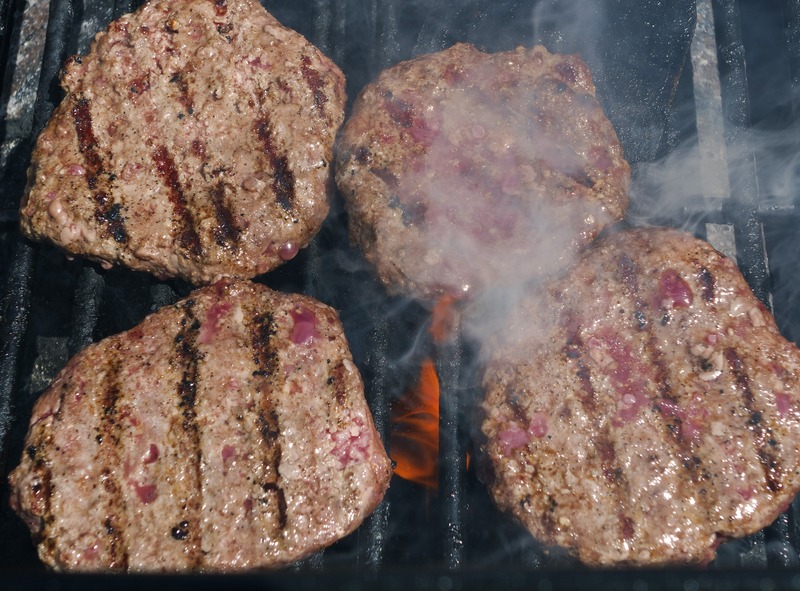 The Centers for Disease Control and Prevention on Friday announced that ground beef appears to be the culprit in the latest, ongoing multi-state outbreak of E. coli infections. The outbreak began early last month and has sickened at least 109 people across six states since then, making it the third largest multistate E. coli outbreak in the last two decades. Thirteen of those 109 cases have been tallied since Tuesday, April 9. Additional illnesses that started as far back as March 19 may not yet be reported, the agency cautioned, suggesting the outbreak could continue to bulk up. So far, 17 people have been hospitalized. Six states affected so far. Reports of the illnesses were initially served up to the CDC from Kentucky and Georgia last month. The agency opened an investigation March 28 but has had trouble tracking down the source. Investigators finally fingered beef after interviewing 75 people sickened in the outbreak. Of those, 63 (84 percent) remembered eating ground beef in the week before falling ill. That level of beef eating is significantly higher than that seen on a baseline food survey from healthy people. Still, while the meat may be the culprit, the agency still hasn’t been able to identify a supplier or source of the sickening meat. Some people reported eating beef at home in things like sloppy joes and spaghetti sauces after buying it from various grocery stores. Others reported eating it in restaurants. The CDC reports it’s now conducting traceback investigations to try to identify a common source, calling it a “rapidly evolving” situation. Without a clear source, the agency is not recommending that consumers avoid ground beef or that retailers stop serving and selling it. Instead, the agency recommends consumers practice safe beef-handling practices and cook their meat thoroughly, providing detailed safety tips on their website. This E. coli outbreak follows two last year linked to lettuces, including one that spanned 36 states, sickening 210 and killing five. The source of the produce contamination was later linked to a high-density cattle farm.